Alinea (Lincoln Park, Chicago): October 9, 2010 – Yay for the Best Restaurant in North America being the first item crossed-off on this list! 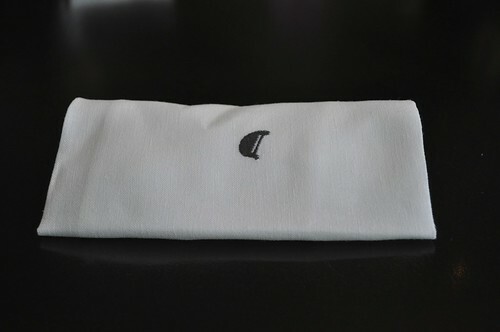 I've replaced my old Bucket List photo with the one I took of Alinea's napkin cloths with the restaurant's logo, a pilcro (or alinea in Latin), to mark the start of a new thought! As of today, it was the best meal I've ever had. I even received a gracious blog post comment from Nick Kokonas himself, which just added even more icing and excitement to my already proverbial iced cake! 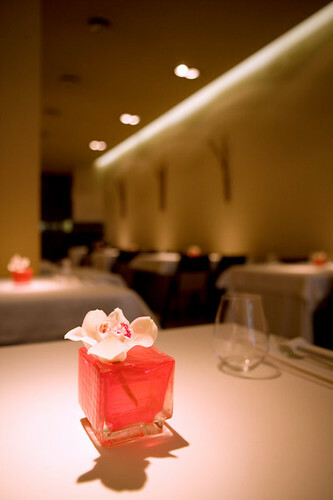 Time will only tell if any of the future listees will surpass Chef Grant Achatz's kitchen wonders! 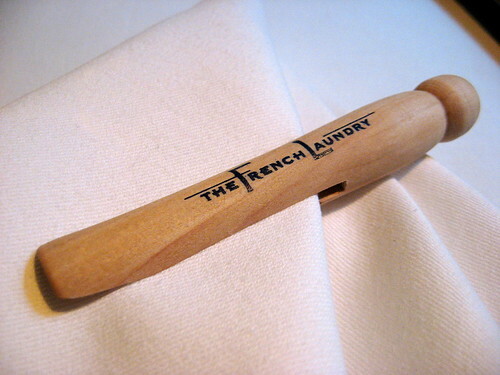 The French Laundry (Yountville, California): May 21, 2011 – Marcus and I landed reservations via OpenTable (see how here) and had quite a lovely lunch experience at The French Laundry. We decided to celebrate our one year anniversary at Chef Thomas Keller's culinary temple, and we were so fortunate that he happened to be there as well as happy and willing to sign our menus! After this meal, Marcus and I had learned a lot more about The French Laundry, gaining a better understanding and even more appreciation for Chef Keller and the mission he sought to accomplish in one of the world's most celebrated restaurants in Yountville. 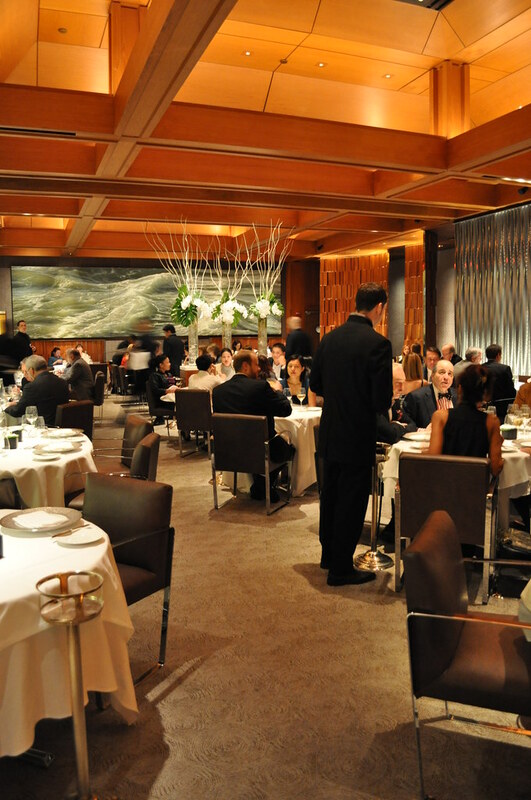 Le Bernardin (Midtown East, New York City): September 30, 2011 – I took Marcus here to celebrate his birthday -- and what a celebration it was! This definitely will be archived in one of the best meals that I've ever had in my entire life -- I would say this is right behind Alinea (mentioned first above) making it the second best meal ever for me, followed by JBF LTD with Laurent Gras and then by The French Laundry (mentioned second above). The magic that Chef Eric Ripert brings to maritime fare (and similarly with the wine pairing alchemy arranged by Aldo Sohm, the restaurant's head sommelier) is astounding and enlivening. What you never thought would be possible on a porcelain palette of china is done before you via a four-course prix fixe dinner at Le Bernardin. 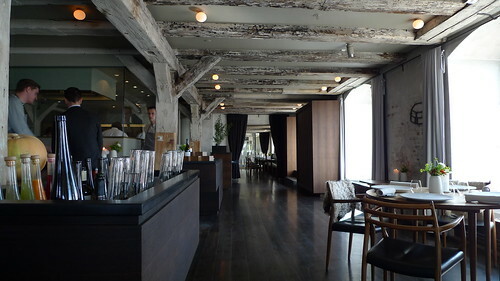 The recently new and modern renovations at the time added another dimension of comfort and happiness as well. We were whisked away, in a seemingly effortless way, and we dare to say that it was the best money we spent on ourselves all year. 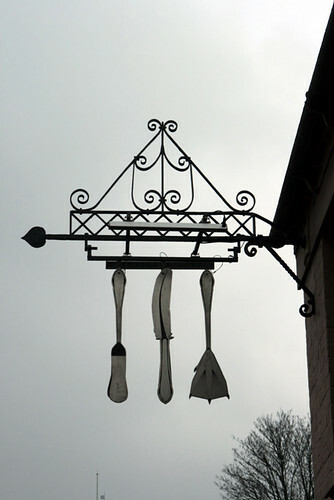 The Fat Duck (Berkshire, England): anticipated for Summer 2012 – I hope to be able to attend the Olympic Games in London during the Summer of 2012, so Chef Heston Blumenthal's spot in Berkshire will definitely be on the must-go list! per se (Columbus Circle, New York City): anticipated for 2012 – Maybe for our anniversary next year, if we don't make it out to Chicago! 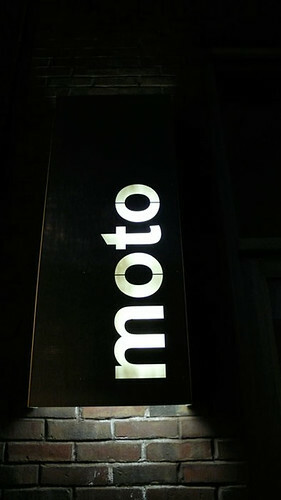 moto (West Loop, Chicago): TBD – Perhaps during my next visit to Chicago to see my kai family! 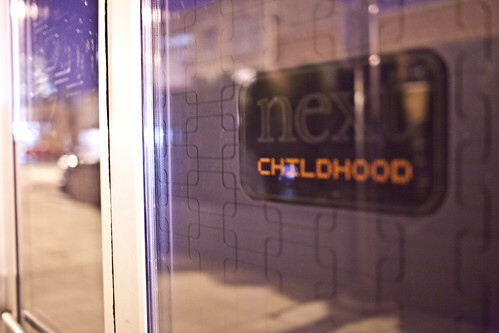 Next Restaurant (Fulton Market, Chicago): early 2012 – Next just announced its seasonal rotating schedule for 2012, with elBulli featured first from February 8 thru May 27! 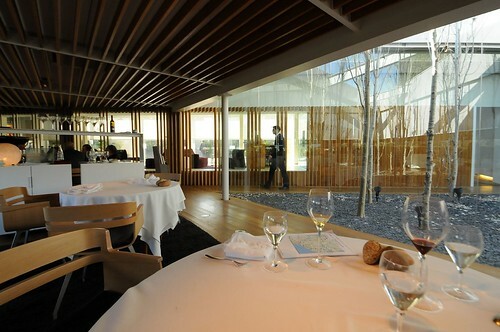 As the beloved, Spanish jewel of the restaurant world is no longer open/operating, this will be the only, last ditch chance (for several years, at least) one will be able to experience the delights and revolutionary dishes created by Chef Ferran Adrià's temple of gastronomy. Marcus and I are determined to get tickets to dinner during this fleeting stint, even if it means trekking to Chicago during its infamously harsh winters. Cinc Sentits (Barcelona, Spain): TBD – I was at a TimesTalk lecture last year entitled The Cooks Who Saved My Life, featuring Rachael Ray, Julie Powell, and Nora Ephron, interviewed by NYT writer, Kim Severson. 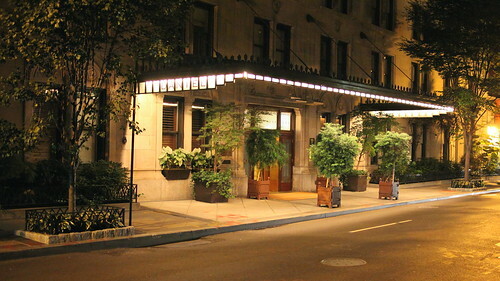 Julie Powell and Nora Ephron took the place of former Gourmet editor, Ruth Reichl, the original featured guest, as she had broken her ankle in California that month. During the talk's Q&A session, one of the audience members had asked Nora Ephron where her favorite restaurant was, and I remember her mentioning this place in Barcelona. Cinc Sentits translates to "five senses" in Catalán, the regional language of Barcelona (located in the province of Cataluña). I like the implication that the restaurant poses at the getgo--that you'll be expected to use all five of the body's senses for meals served at the restaurant.